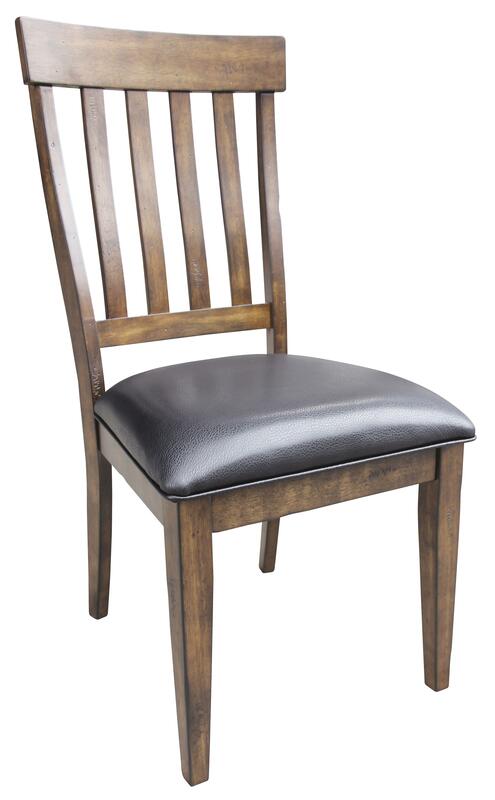 Update your casual dining space with this slatback side chair. 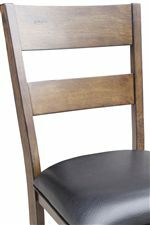 The chair has striking vertical slats for a comfortable place to rest your back as well as a stylish piece for your dining room. 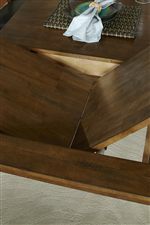 With tapered legs and back, this piece is easy to use with a large rustic style kitchen table. The Winchester Slatback Side Chair with Upholstered Seat at Ruby Gordon Home in the Rochester, Henrietta, Greece, Monroe County, New York area. Product availability may vary. Contact us for the most current availability on this product. 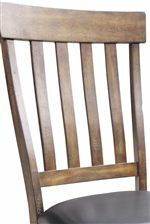 The Winchester collection is a great option if you are looking for Casual furniture in the Rochester, Henrietta, Greece, Monroe County, New York area. Browse other items in the Winchester collection from Ruby Gordon Home in the Rochester, Henrietta, Greece, Monroe County, New York area.